Kong Squeezz Ball with Handle is a strong interactive toy that is perfect for both tugging and tossing. The ball contains a recessed, protected squeaker that both keeps your dog entertained and is built to last. A great, long lasting toy for indoor and outdoor use. Comes in various colours which are randomly allocated. 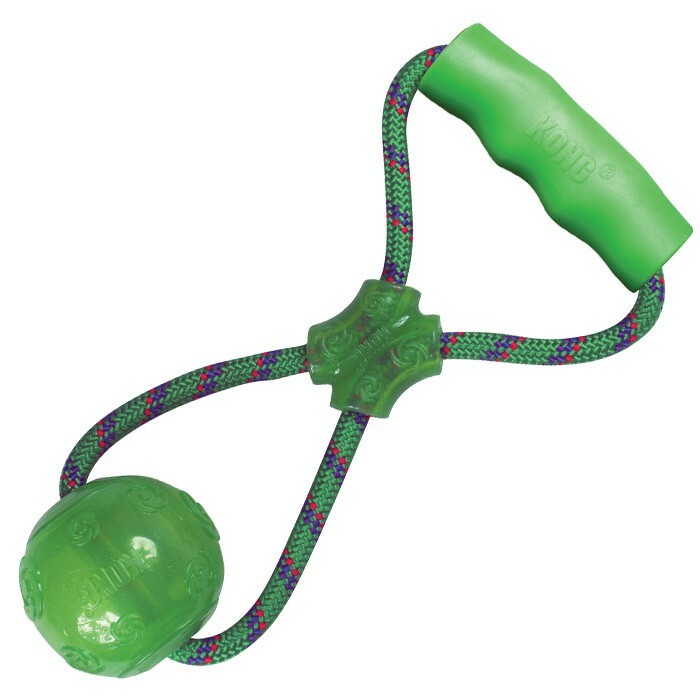 There are currently no questions for Kong Squeezz Ball with Handle Dog Toy - be the first to ask one!